Connect Student Ministry is a weekly gathering on Sunday mornings at 9a & Wednesday Nights at 6:40p. Sunday Mornings are designed around Bible Studies. We dig deep to help apply the word to their everyday life. What's happening in Connect Students! 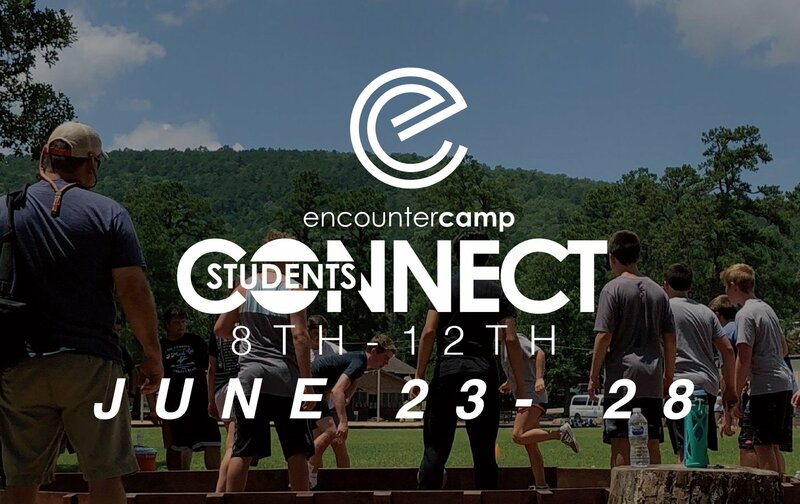 June 23-28 is Encounter Summer Camp! We had a blast last year and want you to be there! Encounter is in Talihina, OK. The cost is $180. Encounter God / Encounter Others / Encounter Change. Encounter Teen Camps exists to support local churches in their effort to reach lost students in their community and to raise up a generation of teenagers who have an authentic walk with God and who actively share their faith. Throughout the week of camp, there is a high priority on Scripture, relevant worship, relationships within the local church, and providing opportunities for students and sponsors to sharpen their skills and prepare to consistently serve God after camp. Email Us: Teenagers can be confusing. One minute you are pulling your hair out and the next you're hugging them. Need some help? Got a question? We're here for you. Email us below or fill out the form with any questions. Copyright 2019, Connect Church. All Rights Reserved.